If you haven’t climbed a volcano, swam with sharks, trekked an ancient site or skied in remote canyons, you truly haven’t seen the world. Adventure travel takes us to the farthest corners of the globe to see nature at its finest, fulfills personal quests and, more than ever, inspires us to be better men. From casual jaunts to extreme expeditions, adventure travel is worth every damn mile slogged. Our adventure-travel starter kit will send you off on your first journey just right, so round up the boys and tap into your inner Bear Grylls for the experience of a lifetime. Unlike other vacations—like knocking back tropical cocktails on a beach or exploring cosmopolitan cities with a map—adventure travel is all about taking risks and getting outside your comfort zone. It requires physical exertion, a sound mind and, often, specialized skills (like mountain climbing and trekking, deep-sea diving, heli-skiing, mountain biking, etc), although you can almost always choose your skill level. What makes adventure travel exciting is that you can go mild or wild and casual or extreme, though it’s always up to you on how much or little adventure you want. Provided you listen to your guides (if applicable), pay attention to the rules and are physically able to perform activities, the journey will be safe for you as it has been for other travelers. Budget is always a factor to consider when you’re planning an adventure travel trip. Remember, the “adventure” isn’t just the physical activity but also immersing in foreign, natural environments; experiencing distant cultures; and meeting other like-minded adventurists from across the globe. In general, intrepid travelers prefer more exotic locations. The further you go (like Machu Picchu, Mount Everest or Uganda), you’ll spend more time there, which means your budget will increase. Adventure travel isn’t cheap, but the less challenging the experience and closer to home it is, the more affordable they come. For instance, paragliding, kayaking, zip lining and short hikes in US national parks will be substantially cheaper. Many hotels and resorts also offer packages that include accommodations, meals, excursions, guides and transportation, which can help you save hundreds. Packing right can make or break the journey. Always pack according to the destination you’ll be exploring, and don’t second guess yourself. If you’re traveling to cold-weather places for skiing, you will need those long johns and gloves. Don’t assume you can buy something in a far-flung destination, so always come prepared for extreme weather. If you’re trekking for days, you’ll want to pack light as you’ll be schlepping your belongings (in many cases, you may be appointed a helping hand like a sherpa). You always want to bring useful items like preventative medicines such as Cold Calm (which prevents you from getting sick at the first sign of a cold). We also suggest strong sunscreen for hot climates (SPF 30 or higher) and even heavy-duty protective moisturizers for cold climates (try Innovative Skincare SHEALD Recovery Balm). Lip balm is important to prevent chapped lips, and sunglasses are never a bad idea. It’s also important to pack accessories like a portable cell phone charger, an empty duffle bag and antiseptic wipes. Depending on the trip you take, many adventure travel operators will provide other essentials like first-aid kits, bug spray and water bottles (always check first). There can be instances when your cell phone is misplaced or the battery runs out, so it’s important to wear a wristwatch to keep time. Bulova’s new CURV watch is impressive as the world’s first curved chronograph movement. The water resistant watch has a sleek ergonomic design and slim, stainless steel case that’s perfect to wear while traveling. Explore activities and destinations that call to you. There’s no shortage of life-changing, adventure travel trips across the planet, and half the fun is stepping outside your comfort zone. Stick to your interests and destinations that excite you. Have you ever wanted to scale a mountain in Asia? Hike ancient attractions in Peru? Jump out of planes in Spain? Hike and river raft Yellowstone National Park? Kayak through glaciers in Patagonia, Chile? Trek the jungles of the Amazon? Bike scenic valleys in France? Ride a camel through Mongolia? Decide what destination calls you to most, then explore all the outdoor adventures that make the most sense. Also, you don’t want to be miserable on whatever trip you book (if you’re not a cold-weather person, don’t go trekking the North Pole!) and visit forums, ask other adventure enthusiasts and spend time researching to see if the trip is right for you. These trips aren’t for amateurs, but they’re also not too extreme, hitting a sweet spot in between. 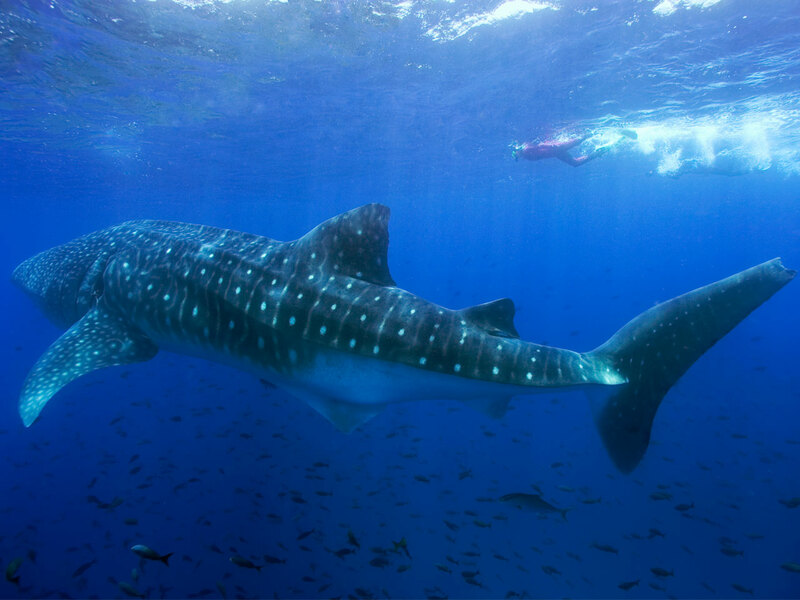 The beauty of Galapagos is that every day there’s a different adventure. Most travelers spend their entire time there on a cruise but it’s all about eco-friendly exploration. A typical trip includes hiking terrain with few human footprints, kayaking the sea, cycling, scuba diving and immersing in a unique ecosystem that takes travelers through hundreds of unique wildlife species and the history of evolution. With Pikaia Lodge, the destination’s first and only luxury resort, travelers can spend days hiking, cycling and more (they even provide a private yacht for less crowded sea adventures). Three-night stay from $8745, including accommodations, all meals, activities, guides and round-trip flight to the islands from Guayaquil, Ecuador. This sacred, 15th-century attraction is one of the most famous adventure travel destinations in the world, and it’s more than a tourist trap. 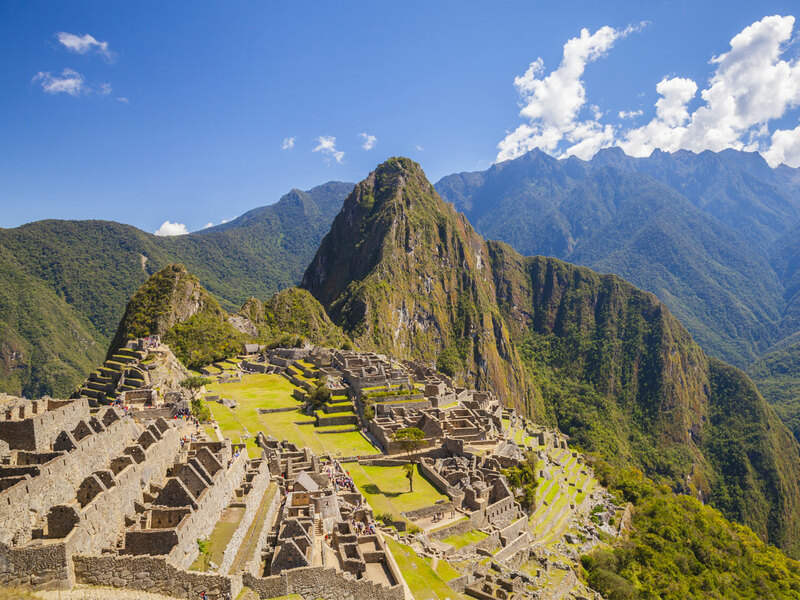 Adventure travelers trek through the Sacred Valley of the Incas (the famed Inca trail), which explores well preserved ruins, the town of Cusco, markets, salt mines and the centuries-old culture of the region. Whistler is considered one of the premier destinations on the globe for skiing with its solid infrastructure and great powder. Whistler Blackcomb is rated as one of the top ski resorts in North America. It’s the perfect place to shred snow, whether skiing, snowboarding, or even sledding. Novice skiers can take adventure to the next level with heli-skiing, where helicopters will drop adventurers to remote mountains for primetime, intense ski adventures. 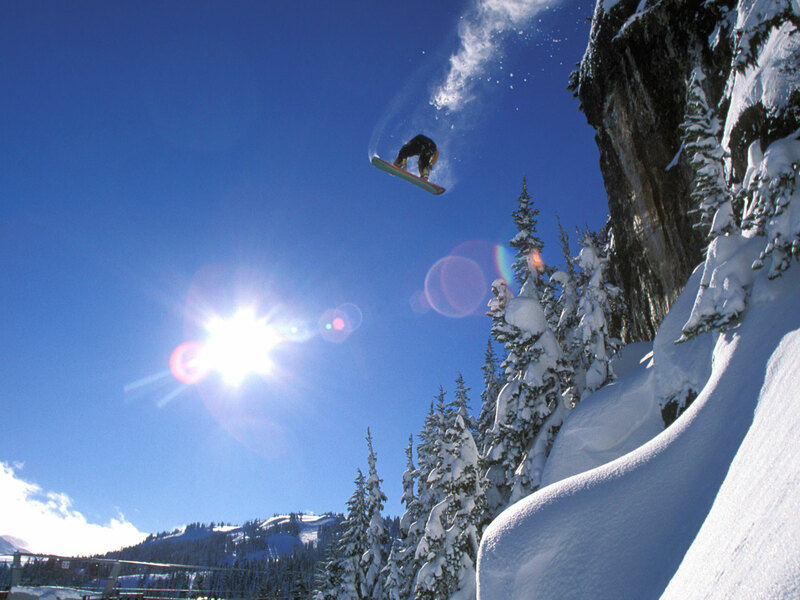 Whistler Heli-skiing is the best resource for the recreation, providing information on areas, guides and packages. The Four Seasons Whistler will give you a luxe crash-pad for when you need a break from the adventuring. Who said adventure travel meant you had to rough it? A trip to Thailand in Southeast Asia is an adventure in itself. There are thriving markets, ancient temples, lush jungles, and sublime islands. 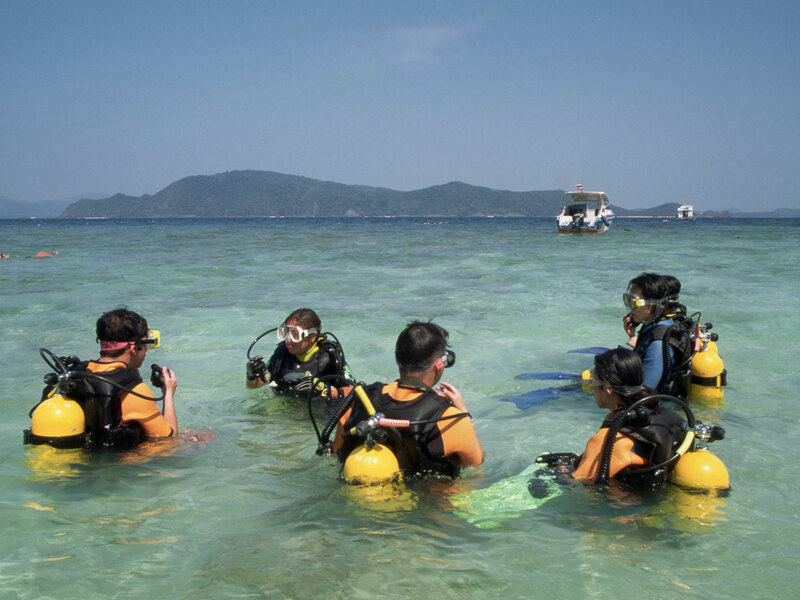 While the beaches are perfect for casual affairs, the sea beckons with top-notch diving. Thailand is home to vibrant marine life, rock walls and underwater attractions, and dive sites sprawl across the Andaman Sea. Diving here is also notoriously cheap for both beginners and seasoned divers alike. Get set up with Aussie Divers Phuket, a reputable dive company that offers PADI Courses (three to four days) and ventures out to some of the best spots, including Anemone Reef and Koh Dok Mai. Joshua Tree National Park in California (outside Palm Springs) is one of the best rock climbing destinations for beginners and advanced climbers alike. There are more than 8,000 climbs throughout the famous rock formations. Best of all, it’s open virtually year-round (many other rock climbing destinations close due to snow and cold over the winter). 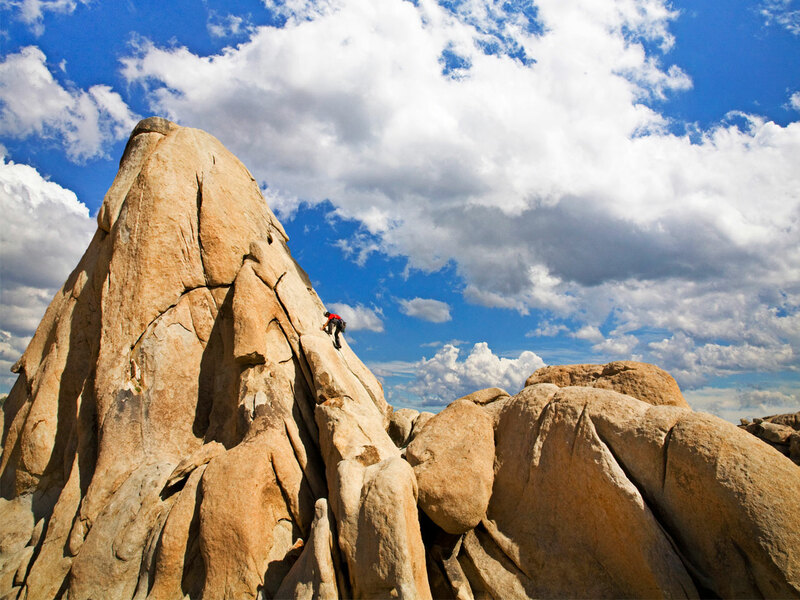 Plenty of rock-climbing outfitters serve Joshua Tree National Park, though Stone Adventures offers private-rock climbing and full-day sessions. 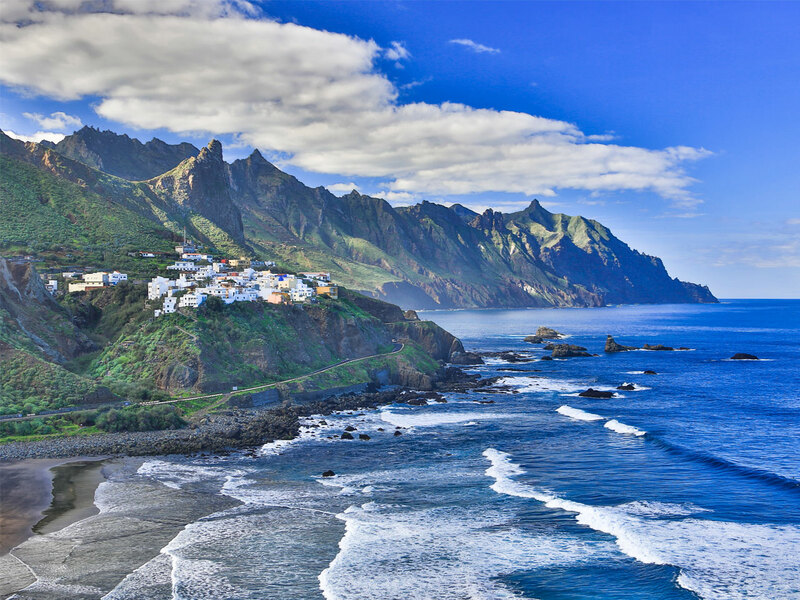 Europe offers a wealth of outdoor activities, from cycling to skiing, though the Canary Islands in Spain is a magnet for watersports lovers. Most travelers ditch the beaches to participate in myriad activities in the sea, like surfing, snorkeling, parasailing, and submarine safaris. Tons of water sports action can be found in Tenerife, known for its rock and sea pools and excellent scuba diving and surf. The volcanic island also has unique, Mars-like terrain, which makes it a cool spot for hiking. Get your base set up at Hard Rock Hotel Tenerife, which can arrange all your adventures and also provide the perfect place for a nightcap after your outings.